After Liverpool's unfortunate Champions League final last May in which two crucial mistakes by Loris Karius saw the English side lose to Real Madrid by 3-1, it comes as no surprise that Liverpool made it one of their priorities to sign a strong goalie in this summer's transfer window. No one expected, however, that they would dig this deep into their purse and sign a record braking deal to bring AC Roma's and Brazilian international goalie Alisson for a record £56 million plus a £9 million in potential performance related added transfer costs. His salary is reported to be £180.000 per week. The previous record transfer for a goalie was paid for Ederson by Manchester City when they acquired him for £34.7 million from FC Benfica. Alisson played in 37 Serie A matches last season and was first choice of goalie for Brazil in this summer's World Cup in Russia and will certainly bring stability to Liverpool at the net. Liverpool has also strengthened their ranks by bringing in Shaqiri from FC Stoke for £13 million, a very promising Fabinho from AC Monaco for £38 million and Naby Keita, who showed some serious skill at RB Leipzig last year, for £54 million. 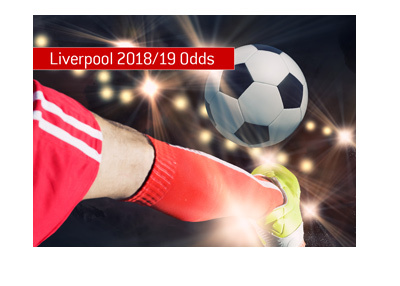 With Salah, who extended his contract with the Merseyside reds until 2022 this summer, and Firminho who scored 27 goals in all competitions last year, Liverpool seem poised to challenge for title in all competitions this year. Odds on them to win Premiership stand at 4/1, while their odds at lifting the Champions League trophy stand at 12/1.